IT WAS A busy night of action in the preliminary round of the Sigerson Cup, with two games taking place this evening. Garda College earned an emphatic victory over Athlone IT, as the away side prevailed 7-10 to 0-11. The game was virtually over by half-time, as the visitors had registered 5-8 by that stage, while their opponents put just 0-4 on the board prior to the break. Meanwhile, in the night’s other game at Santry Avenue, Dundalk IT beat Trinity College 1-18 to 0-10. Dundalk advance to play DCU on 31 January, while on the same day, Garda College face current league champions and last year’s semi finalists UCC. Email “Wins for Garda College and Dundalk IT in tonight's Sigerson Cup action”. 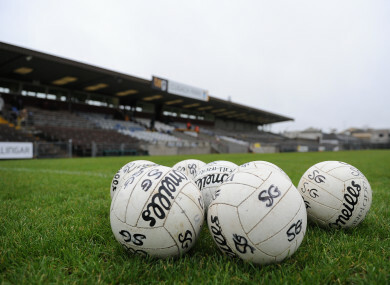 Feedback on “Wins for Garda College and Dundalk IT in tonight's Sigerson Cup action”.